A new toy lets babies take photos of themselves and post them immediately to the Internet so proud parents can show off their progeny. Dutch designer Laura Cornet said she noticed a lot of baby photos being placed on Facebook and came up with an idea -- an interactive toy for babies which would take their photos and post them on Facebook or Twitter, according to CNN. The toy, called "New Born Fame" isn't about babies taking photos of themselves but a "debate on who has the right to post pictures of infants online." Regardless of the discussion, Cornet's toy is a plush mobile that hangs above a crib with a Facebook and Twitter logo. 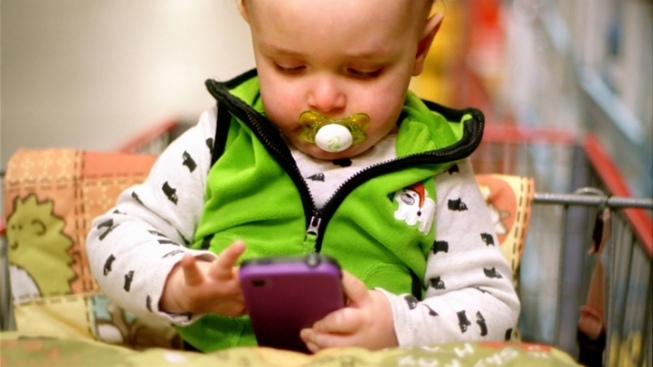 When the baby tries to grasp the mobile, it takes a photo or video of the baby and posts it on the Internet. The toy, which was created for Eindhoven Design Academy, is not yet commercially available.